Surprise Ride: Introducing October’s Surprise Ride! 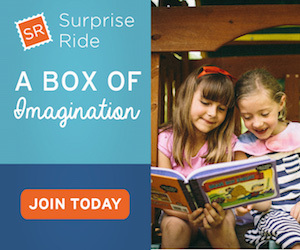 Through carefully curated monthly activities, Surprise Ride aims to foster creativity in kids and expand their horizons. With a little hands-on learning and a lot of fun, we help kids exercise that special power of creative genius that empowers them to be tomorrow’s innovators. There’s no better way for kids to learn than by doing. There’s no better time than when they’re young and absorbing experiences like a sponge. Our Rides keeps the little ones learning and creating offline. They come with everything families need including activity materials and instructions, a book, snack and even a Parent Guide. Surprise Fact: Did you know that even though Leonardo Da Vinci is credited first and foremost for being one of the greatest artists in history, only 15 of paintings are still around today! What do you think of Surprise Ride? ← Birchbox Man: November Sample Choice Revealed! !